Pharmacy technicians support their pharmacist supervisors by providing medication and other pharmacy products to patients and customers. They perform routine tasks, such as preparing prescription orders, but will also play a critical role in the pharmacy’s administrative tasks, such as stocking shelves, answering phones, operating the cash register, and maintaining patient records. Pharmacy technicians perform these tasks in various healthcare settings, including hospitals and clinic pharmacies, community pharmacies and managed health care facilities. They may also work in non-traditional settings like medical insurance companies, wholesale drug companies, and manufacturing companies. Regardless of where they work, technicians must understand the use and side effects of prescription and non-prescription drugs and demonstrate their commitment to patient safety and confidentiality. The Idaho Board of Pharmacy’s requirement for certification helps Idaho’s pharmacy technicians keep pace with industry standards, ethical conduct, and professionalism on the job. 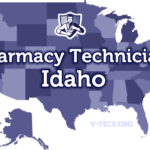 The Idaho Board of Pharmacy requires individuals to register as a pharmacy technician or pharmacy technician-in-training prior to practicing in state-licensed pharmacies. The Board will issue a pharmacy technician-in-training license to an individual who receives an offer of employment as a pharmacy technician, but have not met the requirements for national certification. Individuals who earn the CPhT designation after successful passage of the PTCB or NHA exam can apply for registration as a Certified Pharmacy Technician. To be eligible for registration the applicant must meet the Board’s age and education requirements and possess a good moral character. Upon approval of the registration, the professional must renew the license yearly and keep a copy of the registration at the drug outlet where the individual works. If the license holder renews the registration online, he/she must print a copy of the confirmation and post it in the drug outlet. If a technician provides services at a temporary location, he/she should be able to provide proof of registration upon request. 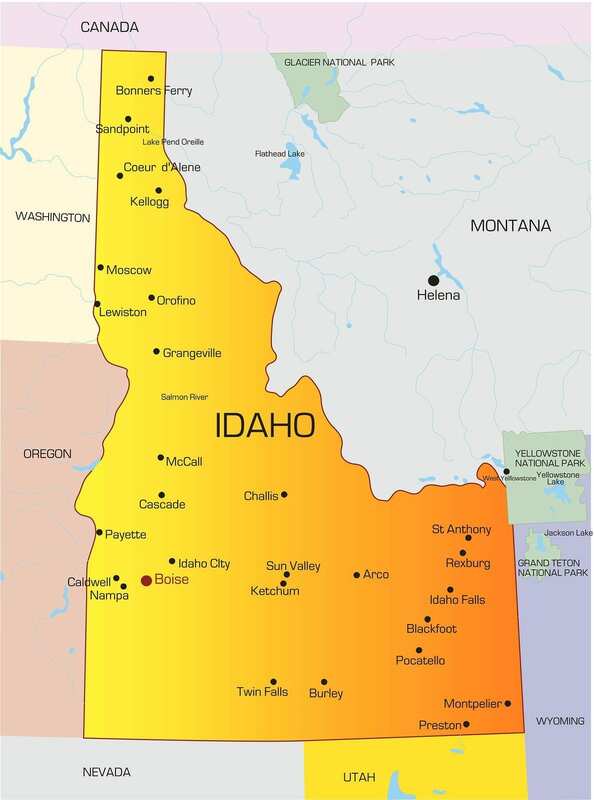 Idaho’s pharmacy employers should verify a prospective employee’s registration status before the individual practices pharmacy related activities in the drug outlet. The applicant for registration must be at least 18 years old. The Board will accept pharmacy technician-in-training registration applications from 16-year-olds with a request for waiver. The waiver is available for students enrolled in a school supervised program or from a pharmacy owner’s child. A copy of the applicant’s high school diploma or GED certificate must accompany all applications for registration. The Board will also accept a copy of the applicant’s high school transcript if it indicates the date of graduation. Candidates who do not meet the requirement must apply for a waiver from the Board’s executive director. All applicants must submit fingerprints for a criminal history check of Idaho’s criminal database and the FBI database. A local law enforcement agency could assist with the fingerprinting. Along with the fingerprints, applicants must submit a copy of their government issued ID and a completed Non-Criminal Justice Applicant Privacy Statement. The background check takes approximately 3 to 4 weeks. Pharmacy technician training programs are available at colleges, universities, vocational schools and high schools across Idaho. The training equips students with the skills to begin a career as a Certified Pharmacy Technician. Accredited programs utilize an established curriculum that prepares students to take the PTCB or ExCPT exam. Training programs also explore the numerous job settings and career paths open to pharmacy technicians. From the onset of training, students learn basic anatomy, clinical terms for common medical conditions, techniques for reading prescriptions and patient records, and common classes of drugs and how they work. Pharmaceutical calculations, including how to translate the measurements into household measurements, pharmacy laws and regulations, prescription pricing, effective communication, public safety, avoiding medication errors, and customer service skills are some other critical components of pharmacy technician training. Apart from classroom instruction, students also participate in a hands-on lab in the school’s compounding lab facility where they learn through interactive review sessions. The theory and skills lab prepare students for an externship at a local retail or hospital pharmacy to apply their learning in a real-world setting under the direction of a pharmacist. Requirements for entry into most pharmacy technician programs, even those sponsored by employers, include a high school diploma and a criminal background check. Students must be at least 18 years old. However, some programs, targeted to high school students, will accept individuals who are at least 16 years. Note: you cannot register as a Certified Pharmacy Technician until you’re 18 years or older. The cost of training depends on the type of program. Schools, such as Carrington College, facilitate programs that culminate in one of two outcomes: a certificate or associate degree. Certificate programs are normally shorter and cost less than degree programs. The average cost of a basic certificate program is $14,500 for approximately 36 weeks of training. An associate degree costs $25,450 for 60 weeks of training. Financial aid may be available through federal loans. Workforce training programs, like the one offered at Lewis-Clark State College, costs considerably less, but there may be limited enrollment. Additional costs include a criminal background check, immunizations, textbooks, workbooks, uniform, and testing fees. Although the immediate need to fill shortages can force employers to hire trained and certified pharmacy technicians, you can still train for free through several employer-based training programs. You’ll need to search actively for opportunities and register as a pharmacy technician-in-training before you begin working at the designated pharmacy. Pharmacy technicians are an indispensable part of the health care team. Their increasing responsibilities and supportive role to pharmacists make certification an important requirement by many state employers and Idaho’s Board of Pharmacy. Pharmacy technicians may perform many of the tasks of a pharmacist, but the pharmacist supervisor must check their work before dispensing the medication to a patient. National certification through the PTCB or NHA helps to boost technician confidence, professionalism and reduce medication error. The PTCB is the older of the two certifying agencies and recognized by 45 states. The Pharmacy Technician Certification Board designs and develops the PTCE and delivers the exam through a collaboration with Pearson Vue. 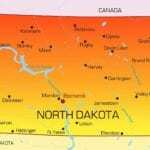 Currently, the exam is available through more than 200 testing centers across the United States, including several centers in Idaho. To be eligible for testing, applicants must be at least 18 years, pass a criminal background check, have no drug or criminal felonies and abide by the Board’s policies. Applicants must submit their applications for certification online and follow the procedures for fingerprinting. Once the Board approves the request, the candidate can schedule a test date within 90 days and take the 2-hour exam, which comprises of 90 multiple-choice questions. Pharmacy technicians certified by the PTCB must complete the continuing education requirements and renew their certification biennially to maintain their CPhT status. The renewal fee is $40. The ExCPT, developed by the Institute for Certification of Pharmacy Technicians (ICPT), is an alternative to the PTCB, which Idaho’s Board of Pharmacy also accepts. Applicants for certification must be at least 18 years, possess a high school diploma or equivalent, and have no drug-related felonies or other criminal convictions. Applicants should also have proof of completing a formal pharmacy technician training program or at least 12 months of pharmacy employment. The cost of ICPT certification is $105, and renewal is every two years. The two-hour test comprises of 110 multiple-choice questions, which test candidates’ knowledge of the dispensing process, technician duties, and responsibilities, and generic and brand name drugs. Idaho’s pharmacy technicians have two options for registering with the Board of Pharmacy. An individual who has not completed the requirements for national certification can register as a technician-in-training if he/she is employed in a pharmacy and meet all other requirements for registration. Certified technician registration applies to individuals who acquire national certification and meet the Board’s requirements for registration. Applicants must be at least 18 years old unless the Board’s executive director grants a waiver. An individual who is currently employed in a pharmacy, but has not obtained national certification through a recognized agency is eligible to apply for registration as a pharmacy technician-in-training. Following are the steps for registration. Download the Technician-in-training application and fill out all questions. Include a copy of your high school diploma, transcript or GED certificate. Attach the waiver request if you’re currently enrolled in a school supervised program. Email the Board to request a fingerprint packet, and submit your completed fingerprints with the application. Fill out the Non-criminal Justice Applicant Privacy Statement included in the fingerprint packet. Enclose the application fee of $35 plus $39.50 for the criminal background check. Two reputable business persons should attest to your good moral character on the application form. Pharmacy technicians in training may renew their registration up to two times before meeting the requirements to register as certified pharmacy technicians. An individual who earns the CPhT designation after passing a national certification exam (PTCB or NHA) can register as a Certified Pharmacy Technician in Idaho. The applicant must meet all the requirements listed above and also provide a copy of the PTCB or NHA certificate. The application fee is $35 plus $39.50 for the criminal background check (where applicable). Supporting documents, such as police reports and court documents should accompany any positive responses to the criminal history or disciplinary action questions. The criminal background check takes approximately 3 to 4 weeks, and the results are valid for 180 days. The Board requires 4 to 6 weeks to process the application for registration after receiving the completed form and all supporting documents. Criminal convictions and disciplinary actions may delay the processing time for your application. Pharmacy technician licenses expire on June 30 every year. Pharmacy technicians and technicians-in-training should renew on time to maintain valid licenses for continued employment. The Board of Pharmacy will mail the renewal application by the fourth week in April to the licensee’s last known address. It is the technician’s responsibility to renew the application before the expiration date. Look for the renewal form in the mail after the fourth week in April. The renewal website will be available after the Board sends the notices. Note: It is crucial that you maintain an accurate address with the Board to receive notices. If your address changes, submit an Address Change Request to update your information. Pay the renewal fee of $35 using a credit/debit card, check or money order. Verify your license 2-3 weeks after mailing in your application. For faster renewals, you should submit your request online. You can verify your active renewal immediately after renewing online. Failure to renew on time will cause your registration to lapse, and you will incur a late fee. Lapsed registrations are invalid, and the pharmacy technician is unable to work until the Board approves the request. The technician must apply for a reinstatement if the registration is not renewed within 30 days after expiration. Pharmacy technicians who receive their registrations 10 weeks or less prior to the renewal date are exempt from the renewal requirements during the first year only. Pharmacy technicians, registered in other states, should follow the steps for a new registration to work in Idaho.